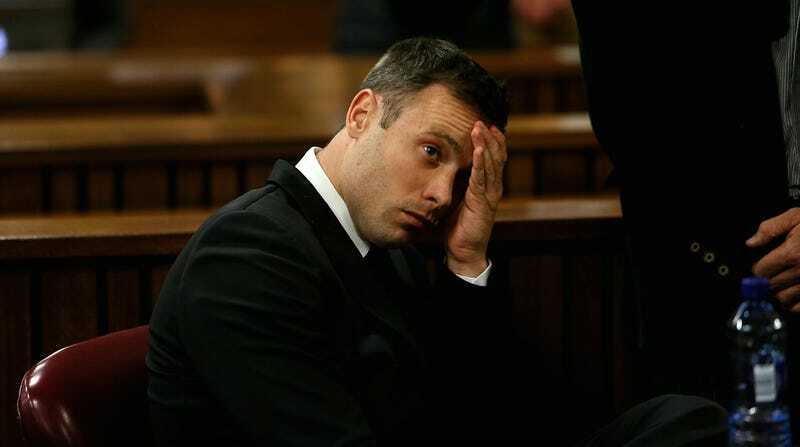 In an interview with The Times, Reeva Steenkamp's mother told the British newspaper that her daughter never slept with Oscar Pistorious because she "was scared to take the relationship to the next level." June Steenkamp told The Times, which is serialising her book, Reeva: A Mother's Story, which is to be published on 6 November, that Reeva had told her the couple had not yet entered a sexual relationship and had "nagging doubts about their compatibility". She says: "She had confided to me that she hadn't slept with him. They'd shared a bed, but she was scared to take the relationship to that level. "She wouldn't want to sleep with Oscar if she wasn't sure. I believe their relationship was coming to an end. In her heart of hearts, she didn't think it was making either of them happy." Steenkamp is understandably still grieving the loss of her daughter and, frankly, the lack of justice that was served on her behalf. That being said, it does seem a bit unlikely that the couple never consummated their relationship, but who knows. June Steenkamp also called Pistorius, "'pathetic', 'moody', 'gun-toting' and 'possessive'," which, yeah, sounds about right. If Reeva's bags were indeed packed and ready to leave that night, it's yet another tragic reminder that she had a reason to be scared.